A.O. Hume’s name shines like a star. His greatest contribution was his founding the Indian National Congress. Hume, the son of Joseph Hume, a prominent Scottish member of the House of Commons, was a brilliant civil service officer of the British Government, was loyal to his motherland and his government, but was equally sympathetic with the miserable predicament of Indians under the British regime. When he was posted as the Director-General of Agriculture ., he came into direct touch with the difficulties in which the farmers and farm workers of rural India lived. He took up the case of these poor people and argued for them in the Government. ‘Hints on Agricultural Reforms ’ was a report he prepared in which he discusses the urgent need for a change in the law and rule governing the agricultural life in . It is a valued document relevant even now. Soon Hume was appointed Home Secretary in 1870. Though the administration was taken over from the East India Company by the Queen herself, the situation was moving from bad to worse. More taxations, more police atrocities, and the people continued to live in abject poverty and slavery. This was too much for A.O. Hume and in protest against the government’s administrative policies, he resigned from service and entered into a life of peace, But he had already entered into an endeavour towards the formation of a national organization for forming a bridge between the rulers and the ruled. It is obvious that when Lord Dufferin expected a political organisation to represent the best Indian opinion, it was far from his mind to suggest an organisation that would demand parliamentary government for India, or self-government even on colonial lines. What he evidently aimed at was a sort of an innocuous association which should serve more as a “safety valve” than as a genuine Nationalist organisation for national purposes. Mr. Hume may have meant more. He was a lover of liberty and wanted political liberty for India under the cages of the British crown. He was an English patriot and as such he wanted the continuance of British connection with India. He saw danger to British rule in discontent going underground, and one of his objects in establishing the Congress was to save British rule in India from an impending calamity of the gravest kind which he thought was threatening it at that time. 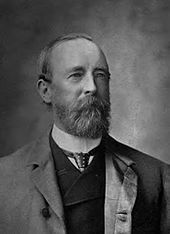 In his reply to Sir Auckland Colvin,( Sir Auckland Colvin was the Lieutenant Governor of the then North Western Provinces (now the United Province of Agra and Oudh). he admitted that “a safety valve for the escape of great and growing forces generated by” British “connection, was urgently needed, and no more efficacious safety valve than” the “Congress movement could possibly be devised.” This correspondence between Sir Auckland Colvin, then Lieutenant Governor of the United Provinces, and Mr. Hume, reveals the whole genesis of the Congress movement, and is so clear and illuminating that no student of Indian politics can afford to neglect it. So in the words of these two leaders, the immediate motive of the Congress was to save the British Empire from this danger. There is, however, one difficulty in believing outright that this was the immediate reason of the birth of the Congress. Mr. Hume is said to have seen this evidence at the time he was in the service of the Government, viz., fifteen months before Lord Lytton left India. Between then and the first meeting of the Congress in 1885 intervened a period of about seven years. During this time Lord Ripon was viceroy for five years. The idea of starting a political organisation on the lines of the Congress is said to have originated with Lord Dufferin. Nor are we prepared to believe that men like Ranade, Tilak, Naoroji, W. C. Bonnerjea, Ajudhia Nath, and Tyabji, were only tools in the hands of the Britishers. No, we do not think so. They were all true and good patriots. They loved their country and they started the Congress with the best of motives. It is possible that with some British sympathizers, the interests of the British Empire were primary, and they sided with the Congress because they believed that thereby they could best secure the Empire; but the writer of this book knows from personal experience how deeply the love of humanity and liberty is embedded in the hearts of some Britishers, and he is compelled to believe that at least some of those who showed their sympathy with the Congress were of that kind.